I've been focusing on the Builder's Base the last few weeks, so I thought I'd take a few minutes to bring everyone up to speed on my main games. Last year, when I first launched this journal, I was focused on what was going on with Clash Maniac. I started the game from scratch and had it up to TH7 in 20 days. I hung out at TH7 a while, catching everything up and maxing structures. That took about a month or so to complete. 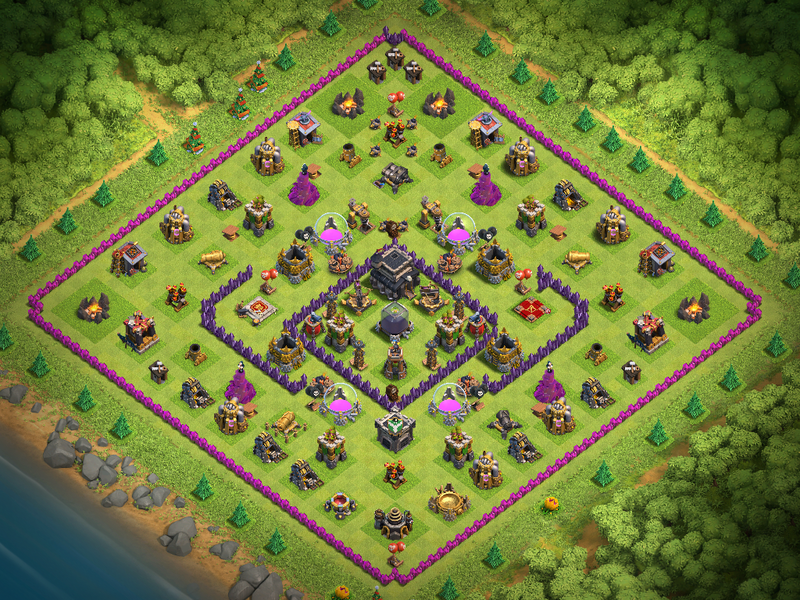 The nice thing about it - I had a TH7 army, resources, and loot opportunities. I spent probably 40 days at TH7 before cruising into TH8. In my mind, TH8 is really more of an interim level; I don't want to spend too much time there because it doesn't really have a lot to offer. 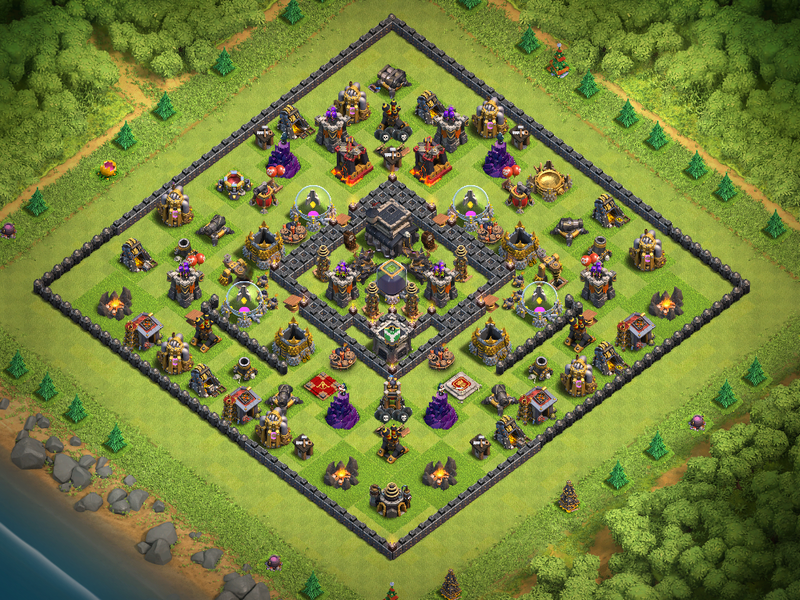 By 5 months in, my troops were maxed at TH8 and lots of upgrades were completed. So, I pulled the trigger on the TH9 upgrade and hit TH9 right about the 6 month mark. Of course, that's when other things came up and the game went on hold. My brand of strategic rushing has always been a bit conservative. I prefer to focus on offense, like other rushers, but I get more troops and structures upgraded before making the jump than many others. I put my CoC games on hold mid-December and took a 6 month hiatus. Not much happened during those six months, especially with the Clash Maniac game. I returned to the game mid-June. ClashManiac has come along a little bit. 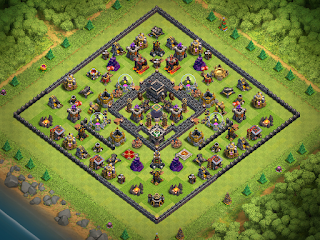 Not much happened at TH9 before I took my 6 month hiatus. As always, offense and resource structures are first up. Army Camps are all level 7, Spell Factories, Clan Castle, and Laboratory were all upgraded to TH9 max. Two of four Barracks have been upgraded. The remaining two Barracks, and the DE drills/storage/barracks are next up in the upgrade order. Barbarians, Giants, Wizards, Dragons, and Healers have all been upgraded. This reflects my primary farming army - Giants, Wizards, Healers, heroes. I always focus first on getting this army up to snuff so I can use it to generate more resources through raids. I put the Archer Queen down when I upgraded the TH and she's now at level 10 with the BK currently going to level 13. Most of the traps (Bombs, Giant Bombs, Spring Traps, Air Bombs, Skeleton Traps) have been upgraded to TH9 max as well. These are cheap fillers while other items upgrade. 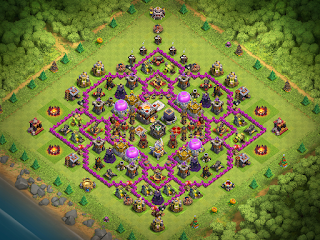 The game is sitting comfortably at 2317 trophies, in Crystal League II. It gets attacked twice a day, every day, but fares pretty well. Losses are usually one star and very little loot, and it pulls a defensive win every so often as well. In two weeks, it's lost around 12K DE across all attacks (it would have been less, but I didn't get in to clear collectors a couple of mornings and you know how that goes). Considering the DE drills alone generated 54K of DE over that same time, that's not too bad. Since I'm more focused on the Builder's Base games right now, it's getting limited attention. Gold is going to upgrading Cannons and I've already upgraded one to the Double Cannon we get from the Master Builder. Elixir is going to the DE structures and DE is going to the heroes. If I were actively warring, I'd be focusing on troops but since I don't anticipate warring until they fix the matchmaker, I'm just putting everything into structures at this point. My primary game is under "Noctaire". This is the game I play every day, one way or t'other. Even during my time away from the game, I still went in there most days and at least cleared collectors. It has only heroes, walls, and one level of Archer Tower, Wizard Tower, and Air Sweeper left to upgrade. It's still running the Raven base design, although it has a slightly modified core from the original design. This is another one that does very well defending. As I mentioned, much has been upgraded and heroes are at level 30 (so they're well along their way); this can be problematic for raiders. Losses are typically one star, there are regular defensive wins, and it sits at 3697 trophies up in Champions League. Even war-grade armies have a difficult time with this base. KussVonNacht is an interesting one. When TH11 came out, I resisted making the jump. I wanted to spend a little more time on my primary game as it had just recently wrapped TH9. Then a fellow player started bragging about his rushed TH11, the fun he was having, how the new troops were neat...so, I decided to boost a game to TH11. Of course, I wasn't going to upgrade my primary game, so I picked a newly minted TH7 game and did a hyper-rush in mid-January of 2016. It took me every bit of 6 months to recover from the very UNstrategic rush, but it came along quite nicely. 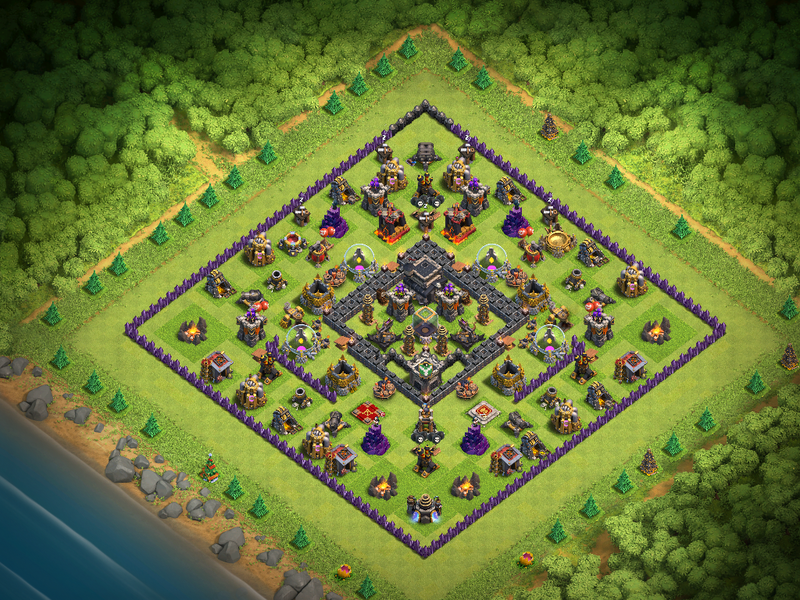 TH11 is simply huge and that breadth alone makes it a formidable base to raid. In spite of the premie nature of my TH11 game, it performed very well against attacks and gave up very little in the early days. It took 6-8 months before the base was even three starred. A year after, plus 6 months of not playing, and the game is in Champs II at 3682 trophies. It takes plenty of defensive wins and the meanest of the defenses have been maxed to keep raiders at bay. Resource structures are maxed as are offensive structures. Troops/spells WERE almost all maxed, right up until the new levels were introduced in this most recent balancing update. Even still, this game can field a solid army and fill Clan Castles with awesome troops. BK/AQ/GW are 21/21/18. Here shortly, I'll be upgrading another X-bow, GW to level 19, and Lavahounds to level 4. I'm also in the process of taking Cannons to level 12 as well. I was just about to start working on walls when the new elixir troop levels were released, so those go back on hold. 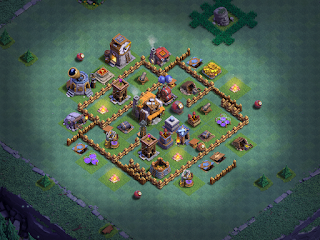 I've run this base now for over a year, since the beginning (save minor changes) and it gives attackers a run for the money. The typical raider sees the pink walls and immediately assumes it's an easy mark. 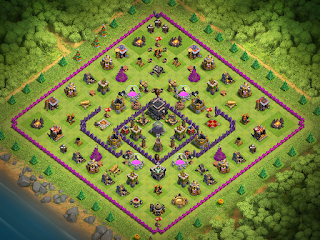 Others think the point defenses are mostly TH9, so it's not going to be tough to plow through. In the end, they find this is simply not the case. 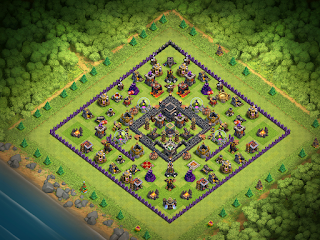 As I said, TH11 is just a beast; it's massive and has a LOT of defenses. Even when the base does give up two stars, it's still usually only around 50%-55% and daily production far outstrips what is lost. I use this game primarily as a feeder, but I get in there and raid every once in a while as well. Last, but not least, are my two TH9 games - Nactherr and Psyberon. Both are maxed for everything except heroes and walls, although Nachtherr is much further along in that endeavor than Psyberon who also has a couple of potions to finish off. Both games were rushed and neither were really played at all this year until I started back to playing a few weeks ago. Nachtherr's heroes are both level 21 and most walls are level 9 now. The game sits in Masters League II at 2754 trophies. As you may be guessing, I like the donut style bases for my regular village base. They defend well, give up very little if you keep up with clearing collectors twice a day, and replays are still fun to watch. Psyberon is much the same. Of course, the walls give away which is the younger brother here. Pysberon has everything maxed except the Poison and Haste potions, walls, and heroes. Heroes are level 17 and the game sits in Masters League III at 2713 trophies. For some reason, this particular game gets a lot of defensive wins; more than any of my other active games see. I think it's again because of the walls; players see something other than high level walls and immediately assume easy mark. DE will go first into those last two potions, then to the heroes. All gold and elixir goes to the walls. The key to successfully rushing a CoC game is to do it smartly. You can be one level behind on defenses with very little impact, even two levels isn't a big deal. You ALWAYS focus first on offense and maximize key troops for your attacking style, whether it's for just farming, war, or both. I usually make sure I have a GiBarch and GiWiz attack maxed at all times for farming, and at least two war attacks that are appropriate to the level I'm attacking (Dragons (TH7), GoWiPe (TH8), Lavaloon (TH9), GoWiVa (TH10), etc) Keep the builders and lab going constantly...and you raid for what you need, use it, then don't bother going for more until you have free builders or lab. You can expect to lose a fair number of raids when you first go to a new TH; just factor that into your upgrade plan and you'll still be light years ahead of other players. The important thing, though, is not to get in over your head. Rushing can be done smart or...well...kinda stoopid. 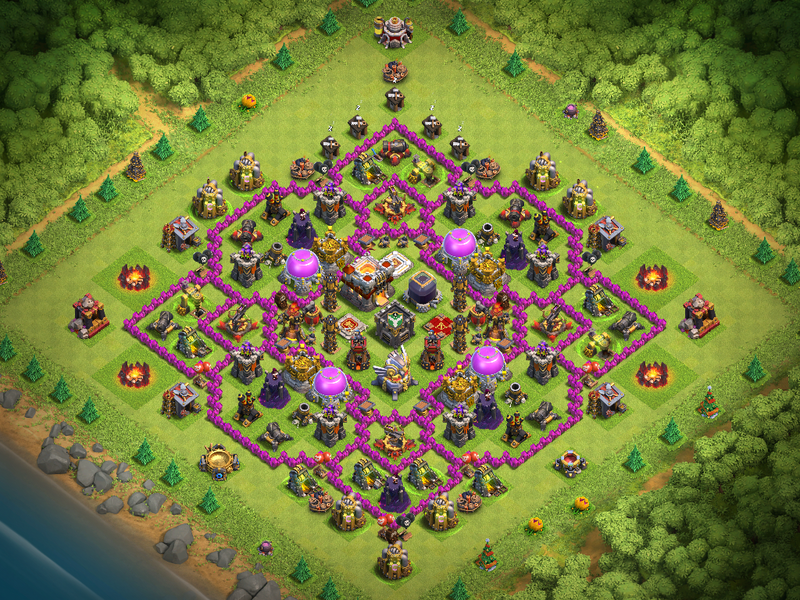 When I hyper-rushed that TH7 game to TH11, I knew what I was getting myself into and how to get out of it. Essentially skipping four TH levels (7, 8, 9, and 10) to go to the highest TH level is not smart rushing. I've seen others make even larger leaps. Hyper-rushed/premie games are real tough to play because they lack the offense to effectively raid resources. Ever tried attacking a TH11 as a TH7 during a clan war? Imagine if you had to do that for every single attack you used to get resources. It ain't pretty.